Discover Posters, Aprons and Caps. A word to the wise, scroll down to learn more about our products! Bring the comic book style poster of our film to your home. 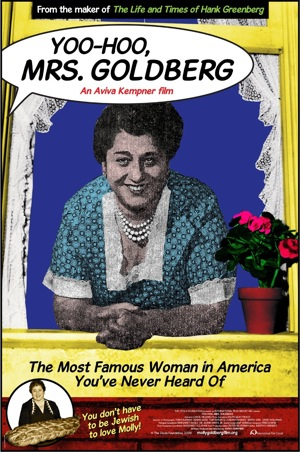 Get it autographed by director Aviva Kempner for just $10 more. ***SPECIAL*** Buy 5 Yoo-Hoo, Mrs. Goldberg Posters, Get 1 Free! 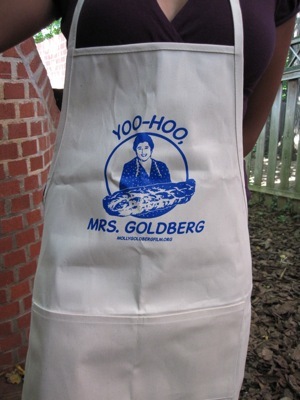 The Yoo-Hoo, Mrs. Goldberg logo is blue. Apron is natural tone and 100% Cotton. Apron is machine wash cold. Ties in back. Has two front pockets for all your cooking and grilling needs. 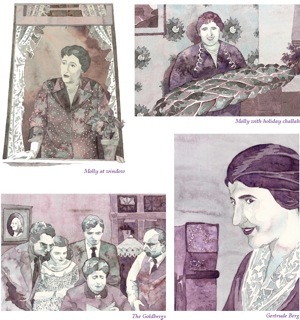 Enjoy these custom illustrated images of Molly and the Goldberg family. From her radio to her television days, she dispenses wisdom out the window of her Tremont Street apartment as only Molly can! The Goldbergs captures a bygone era sure to bring smiles to all who use and receive these notecards! 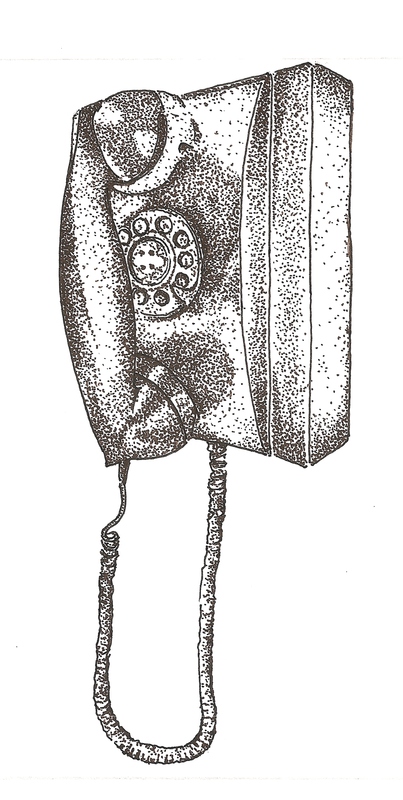 4 pen and ink illustrated designs, 12 note cards to a package. You can also email cieslafdn@gmail.com with any questions, difficulties with the form, etc.